Reach Bali airport, also known as the paradise on Earth. Meet and greet by our representative. Once out of the airport, you will see the magnificent statue of a Battle scene between Gatotkacha and Karna. Pick up from airport & transfer to kuta hotel. Check in at hotel. Ovenight at hotel. After breakfast check out from hotel & then you will be transfer to harbor for boating to Gili Trawangan Island – Arrive Gili Trawangan pick up by cidomo ( local transportation horse cart ) Check in at Hotel. Overnight at hotel. After Breakfast Full Day free for your leisure. Overnight at hotel. After breakfast check out from hotel Transfer to Seminyak hotel & boating back to Bali – Arrive Bali, transfer to hotel for check in process ( check in time 1400Hrs ) In Evening Leave for Bounty Dinner cruise. Overnight at Seminyak hotel. After Breakfast visit Full Day Tour: of Ubud –Village (famous with its silver & Goldsmiths jewelry, Wood carving, Balinese Painting and other unique Balinese Handicrafts) etc. Then continue to the spectacular mountain resort of Kintamani the volcano,Having coffee break on the top of the hill while looking out over Mount Batur and its placid crater lake. Drive on to Tampaksiring with its Holy/Healing Temple, return to Hotel & overnight stay. Return Airport Transfer on Pvt Basis. Inter hotel transfers on pvt basis. 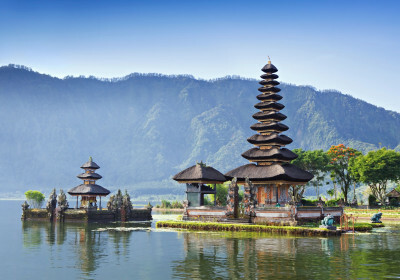 Return Harbour transfers on pvt basis in Bali. Return Cidomo Cart transfers in Gili.